Look up any 2017 list of top travel destinations in the world and chances are the miniscule south-eastern European country will be right up there with the very best of them. Some will perhaps remember the name Serbia and Montenegro. Our Montenegro was one of the better halves but divorced from Serbia in 2006, and the pair decided it was in their best interests if they saw out the rest of their lives single. Perhaps we need to be a bit more precise, there is so much going on in this part of the world. So where is Montenegro located? Montenegro is a small coastal country on the Adriatic Sea. It shares land-borders with many East European countries including Croatia to the west, Bosnia and Herzegovina to the northwest and Serbia to the northeast. Across the Adriatic is the east coast of Italy. If these two were man and woman, Montenegro must have been the female. And not just any female. A stunning, petite, full-bodied woman. For what would you call a tiny country of not more than 700,000 embodied with a superfluous of tantalizing features as rugged mountains, pristine coastlines and turquoise waters, mystical islands, picturesque Riviera, storybook-perfect walled towns, and fjords sprinkled across the country? I thought so. Clearly blessed with so much, it’s perhaps a classic case of beauty without brains. The brains in this case denoting the lack of her own currency having adopted the Euro (despite the fact she’s not in the Eurozone). So much did the other Eurozone countries want this beauty to flourish that they decided to look the other way. The cost of travel here is not overpriced as is the norm with top travel destinations and has some amazing things to do and see. In fact, this is one of the cheapest countries to travel in Europe. Couple that with its small size and it means as little as a fortnight can go a long way in making your trip worth the while. 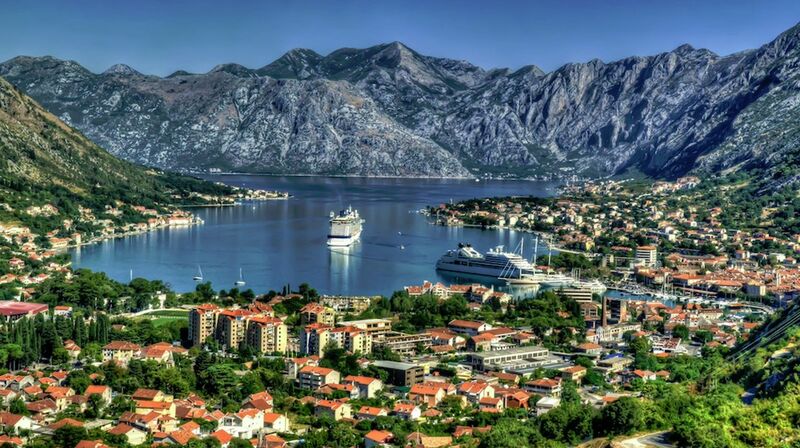 Those wanting to travel here to be embraced by Montenegro’s many charms will be delighted to find it hassle-free. If your travel documents are issued by the EU or USA, for example, then there is no need for Montenegro visas. You can stay and travel around the country for 90 days without one. If you like warm, dry weather then the period of April to September is when to go. At the coastal side, Montenegro enjoys a Mediterranean climate of hot summers and mild winters. Going inland is to experience a sub-alpine climate where the winters are bitterly cold and snowfall aplenty but the summers are often pleasant and warm. Holiday prices fluctuate seasonally and it can be worth it to travel during winter to take advantage of often 50% discounts. 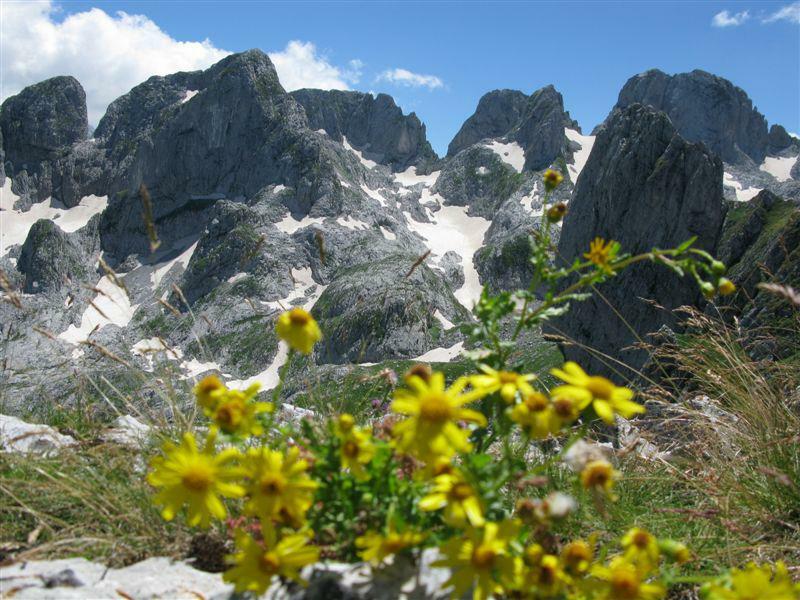 If you love to hike, then you’ll fancy a trip up the Prokletije Mountains. Meaning the accursed mountains, legend has it that they were created when the devil himself unleashed his fury in a single day of mischief. It’s not just for the ultra-fit pros (although it’s not short of a couple of scary peaks) but the regular Joe can find friendlier routes near the Albanian border. Danijel Mihajlović, a photographer, has a good post on hiking in the region. You haven’t been to Montenegro if you haven’t been to the coastal city of Kotor. It’s a quaint town founded in the 5th century and it’s just so ridiculously stunning it’s surreal, which makes it THE ‘best thing to do in Montenegro’ according to most lists. If roaming the web of streets is not gratifying enough, perhaps you’ll be taken by its tag as one of the most sublime nautical adventure grounds, the Bay of Kotor. A UNESCO World Heritage Site, it’s the largest natural harbor in the eastern Mediterranean and Europe’s southernmost fjord. If still that doesn’t thrill you, perhaps you’ll marvel at its Venetian architecture, or the 12th-century Romanesque cathedral, or the 17th-century clock tower. But if art and history isn’t your thing, worry not; there are plenty of chic boutique hotels and seafood eateries. If you are feeling active, you can climb the steps up to the castle of San Giovanni, seen in the hills above the main cathedral on Kotor. 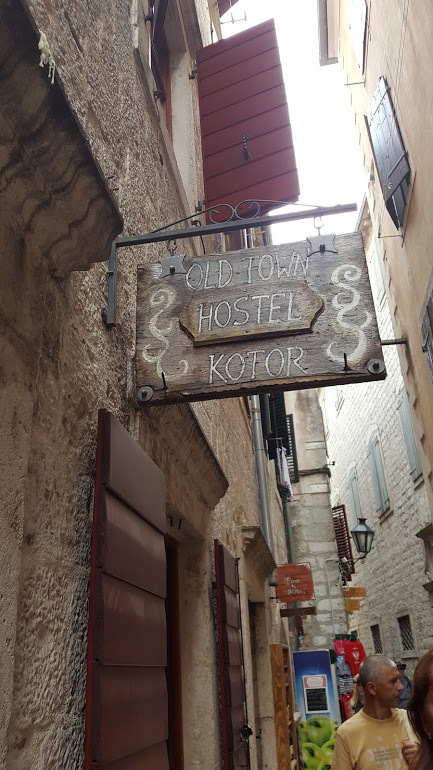 There are lots of amazing hotels to stay in Kotor in old buildings, we wish we stayed the night. Also saw a lot of cheap accommodation options for backpackers. I stuck my head into the Old Town Hostel and it looked awesome for just a cheap hostel. This is a luxury resort in the form of a medieval stone village that rests on a fortified islet with a causeway connecting it to the mainland. It was during the Yugoslav years that it was first converted into a hotel housing renowned guests, before re-opening in 2009 as the 5-star Aman Sveti Stefan. Sverti Stefan was an island enjoying a 1.2 mile coastline in the centre of the mainland shore. An isthmus was engineered to connect it to the mainland and the opulent accommodation here has eight grand suites and a fine selection of cottages and rooms. Staying at the Villa Miločer is an unforgettable experience. 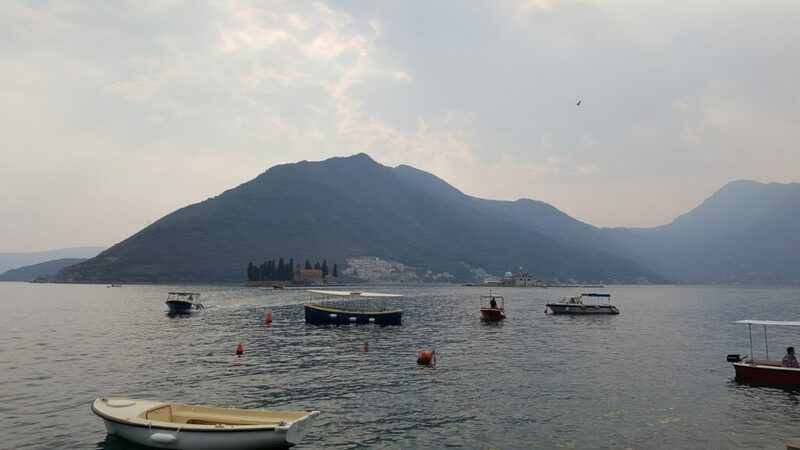 Perast is located on the Bay of Kotor and comprises magnificent old stone villas overlooking a pair of little islets, as well as other attractions like Our Lady of the Rocks and Sveti Dorde (St. George), each accentuated by a church. 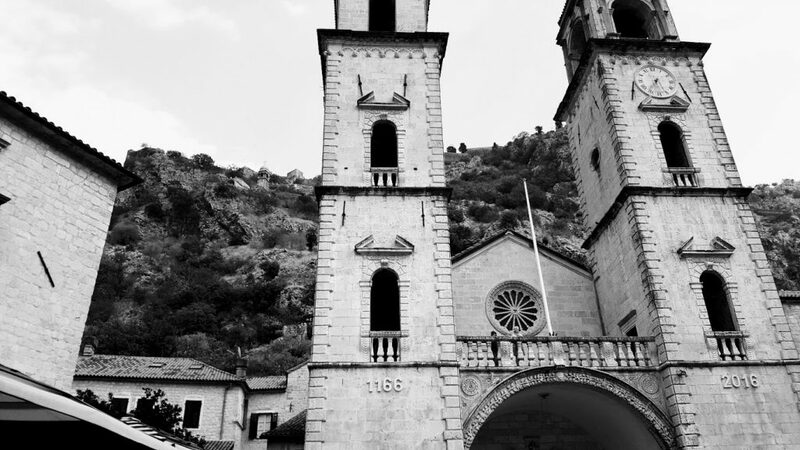 Perast is a bustling town whose glory days go back many decades. There is only one main street but a preponderance of churches – no fewer than 16 line the street. Once-great palazzos and fabulous ruins are of great historic interest and hark back to what Perast once was. Herceg Novi is a town tracing its roots 700 years ago, and definitely a must-visit. This is the place to go if you want to improve your health. Luxuriate in the famous spas where the rejuvenating mud known as igaljsko blato and the healing spring water called igaljske slatine revitalise you. History buffs will delight in visiting Forte Mare, a Bosnian-built castle dating back to 1382, an Austrian clock tower from the 1800s, a Serbian church and the Turkish Kanli Tower. The town itself aside, you can enjoy the impressive ornate Savina Monastery – and the beaches of Lustica Peninsula accessible by boat. Durmitor National Park is another attraction in Montenegro that has been awarded the UNESCO World Natural Heritage status, and that tells you a lot before you even get to know it’s famed for its high peaks, glacial landscapes, some of the deepest gorges in Europe, and dense pine forests. 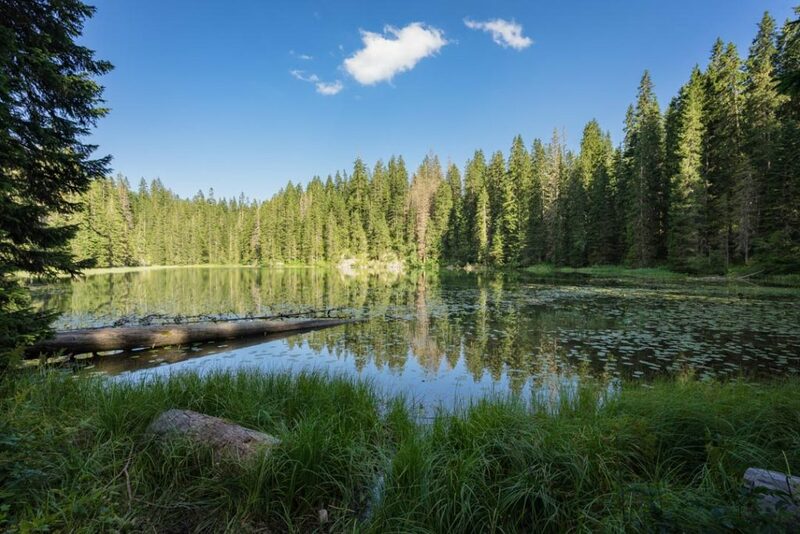 It will especially linger long in the memory for the Crno Jezero (Black Lake) experience that involves a 2-mile (3km) walk from the national park office. Other to-dos here include biking, hiking, rafting, kayaking and paragliding and skiing in winter. For accommodation options, you can stay at Zabliak. This small town is at the center of the mountain region and sits at 1,456 meters altitude. Zabliak acts as the center for all the activities available in the Dumitor mountains. The other option is to stay on the western side of the Dumitor national park in the small town of Pluzine. 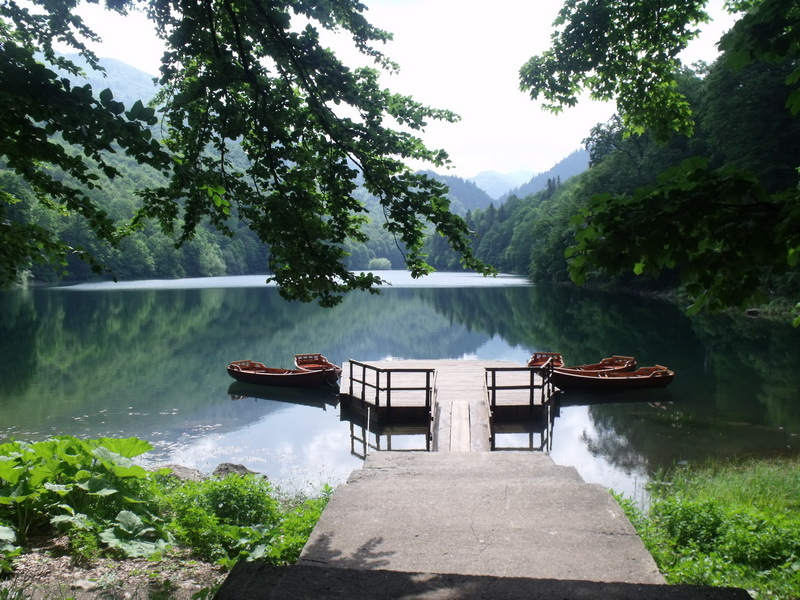 Pluzine is a small town on Piva lake with a very peaceful atmosphere and around 1h hour 40 mins drive to mountain range. Towering above Kotor is the rocky mountain of Lovcen with a peak that stands 5,440ft (1.65m) and home to the Njegos Mausoleum. Given the scenic nature of this country, the views here will have you itching to come back. The national park office is in the former home of the Montenegrin royal family, Cetinje. Budva town is an old town boasting picturesque cobbled alleys and the medieval walls that used to guard it still standing in place. It houses Venetian-era buildings majority of which now host cafes, restaurants and souvenir shops. The Old town is great for a quick trip but nothing compared to Kotor. 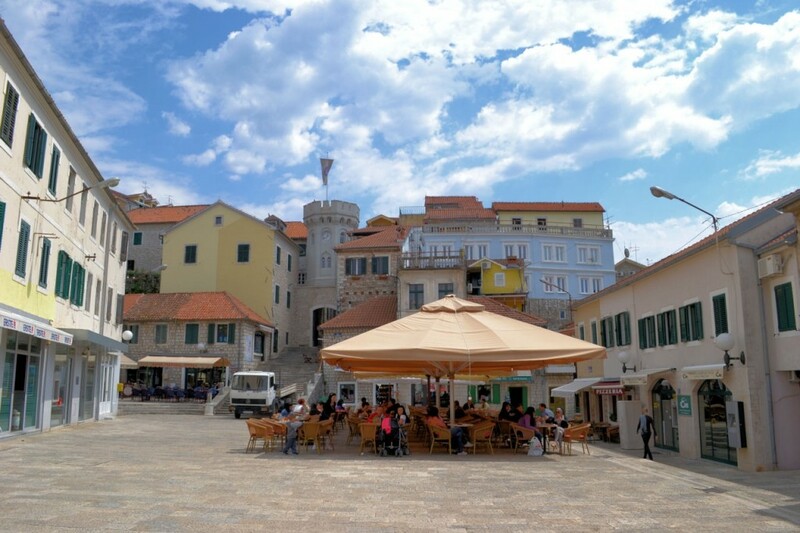 (Update Aug 2017 visit): We did Budva as part of a day trip from Dubrovnik. I would definitely not stay in Budva for a holiday, it’s a bit of dump! The whole area seems like it is under construction, with the whole town full of cranes and half built structures. You can see where people have started building a house or block of apartments and just run out of money and left it. You also see a lot of builds which have not even been painted, just left as stark concrete. Why the Government allows this in tourist areas is beyond me, but it is known for it’s corruption. Charter a yacht and take to what is often referred to as Europe’s southernmost fjord (Bay of Kotor). The river shores are dotted with waterside villages comprising houses dating centuries back, as well as fishing harbors made vibrant by a host of colored wooden boats. This is the biggest lake in the Balkans and birdwatchers will be treated to over 270 species, a good number endangered. It’s known as the European Bird Airport by twitchers who marvel at the sheer volume and diversity of birds that live in the rich habitat. 150,000 birds of many species winter here too and it’s for this reason that Lake Skadar comes in the top five European wintering locations. The area can be reached from Podgorica, the capital of Montenegro, with plenty of accommodation options and even a 5 star Hilton. This is home to the last three jungles in Europe. It stands between the Lim and Tara Rivers and spans over 13,000 acres (5,400 hectares). The Tara River Canyon is over 50 miles long and has been measured as deep as 4,300 feet. This impressive drop puts it in the company of the deepest canyons in the world. Although a third of the canyon is in neighbouring Bosnia and Herzegovina, the stretch in Montenegro forms part of the Durmitor National Park. This dramatic canyon is the deepest in Europe and no doubt the highlight of inland Montenegro. is touted as the best beach in Montenegro and that is no small fete. Not in this country. Overlooking a turquoise bay, it’s a lovely 1.2km stretch of fine pebble beach speckled with sun beds and umbrellas. It’s often host to open-air concerts and international celebrities love it here. The amazing monastery was built in the 17th century and it houses a tiny cave church wherein lies the remains St Basil of Ostrog, its founder. The picturesque town of Budva is lined by a 35-km strip of Adriatic coastline with no fewer than 17 beaches to make your pick from. The most special one to me is Drobni Pijesak, it stretches around 800 feet and is only accessible from the sea! Bečići beach has many amenities for sporty souls such as play areas and fields. For sun-lovers Kamenovo is the place to go, its southeast aspect rewards you with many hours of uninterrupted sunshine. The red sandy beach of Perazića Do plays host to many eateries and is a hotspot for those wanting to enjoy some of the best food the area has to offer. The variety of beaches here is something pretty special and caters to any seaside-loving traveller. Ulcinj is one of the oldest towns on the Adriatic coast and includes a number of top attractions such as the Renaissance Church Mosque and the Balsica Tower. If you love your wine, then you’ll probably know by now that Plantaze is the business when it comes to wine production in Montenegro. 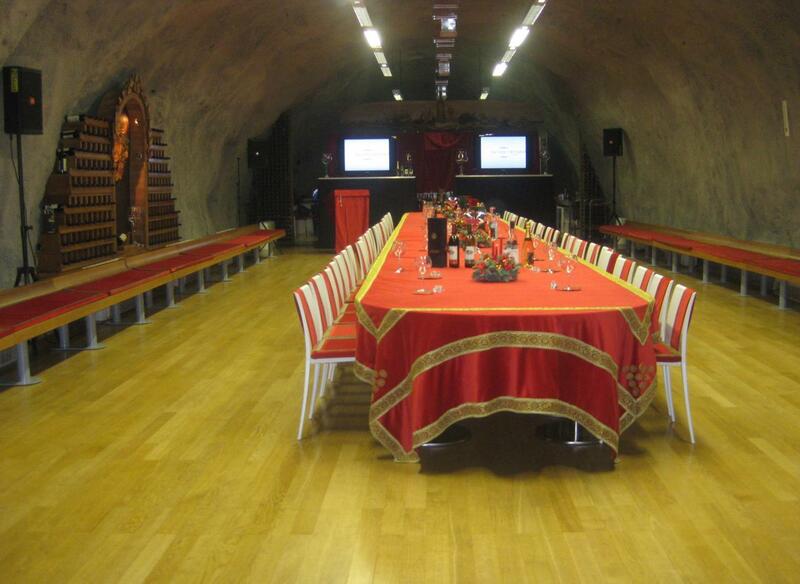 The largest wine producer in the country is famous for its potent red Vranac (black horse) wine. Head over to Plantaze’s Sipcanik wine cellar for a taste of the wines (and don’t forget to carry some). Tivat – Porto Montenegro is state-of-the-art marina featuring 630 berths for yachts and (super yachts) which has in turn spawned hotels and restaurants, waterfront residences, leisure facilities and more. The photogenic Millennium Bridge is must-see. It’s a great place to take a stroll in the late afternoon and magnificent when lit up at night. The imposing Millennium Bridge cost seven million euros and opened in 2005. With its longest span of over 450 feet, it’s not surprising that this crossing has become such a notable landmark. Adjacent to it is the older Moskovski Bridge for pedestrians. Stari Bar is an ancient town with a matching long history tracing its way back to 800BC. Located at the foot of Mount Rumija atop the Londsa hill, the ruin was flattened in the 3rd century by Romans before being rebuilt again. Turks occupied it between the 16th and 19th centuries but most of it was destroyed in the fiery clashes of 1878 between the Turks and the locals. 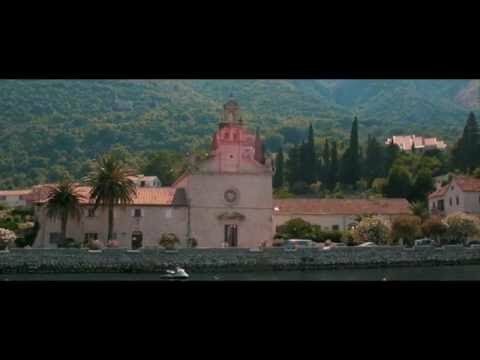 Just over ten years ago, the first Daniel Craig Bond film, Casino Royale helped propel Montenegro into the must-see mainstream holiday destinations. With scenes involving the high speed train, the picturesque casino of the Hotel Splendid and the infamous Bond-coming-out-of-the-sea Ursula Andress pastiche, it was a no-brainer that Montenegro would see its tourism-industry get a big boost. It’s a shame, then, that none of these scenes were filmed here. Montenegro has some very cheap and amazing hotels to choose from, you will be surprised how nice some are. Service standard can be very high compared to what you are used to as they all want repeat business. Kotor’s long history means that you are spoilt for choice for accommodation. The city has wide selection of traditional B&Bs, specialty stopovers and modern hotels (and much more besides). Here are three of the best Kotor hotels. The Villa Ivana apartments are located in the historic old quarter near the southern gates. They are well-appointed, nicely furnished, clean and have good air conditioning and free Wi-Fi. The staff are friendly and have genuinely seem to care you have a good stay. Location-wise, the Villa Ivana is just minutes away from restaurants bars and cultural attractions. The local bar is open until 2 a.m. so if you’re a light sleeper this may pose a bit of an inconvenience. The Hotel Monte Cristo is to be found in the centre of Old Town. Each room is large and has welcome air conditioning. The breakfasts are substantial and the servings typically include ham and eggs. The hotel is well-staffed and it feels like you almost have your own personal waiter! Dinners are great quality and portion sizes of delicious steaks and tasty sea bass are really filling. There is free parking and the staff will drive your luggage up to the hotel in a golf buggy for you. It’s a family-run affair, with accommodation for eight families so booking well-ahead is essential. The Villa Duomo is a stone-built, larger hotel in Old Town and whose decor varies in character from room to room. It’s a quieter, more serene place to stay and you can be forgiven for thinking you’re not in the 21st Century such is the strong traditional cultural ambience. You can eat on the terraces and not be subjected to the noise from the tourist crowds. Customer service is excellent and can’t be faulted here, nothing seems too much trouble. I’d like to get in touch with you. Not sure if this message is public so please can you email me to establish communication? I’m a Director of Frost Guiding, one of the UK’s leading Mountain Guiding Tour Operators. Incredible post! If Montenegro wasn’t on everyone’s bucket list before it will be after they read that. I’ve been eyeing off Kotor for a while but now I’m re-inspired… Its time to book that flight! Great list! My personal favorite is Kotor. If I have only a few days in Montenegro I would spend all in Kotor and Kotor Bay. Another interesting destinations are Lake Skodar and Durmitor Mountains. Ostrog Monastery is very impressive but it’s really difficult to reach with public transport. If you love beaches the best are around Ulcinj. wow! 20 Extraordinary palce that shows how beautiful MONTENEGRO is. This is really magnificent. Wow! Nice read and wonderful pictures. I enjoyed the both. Thanks for sharing. Really great list. One thing is sure. However short time you have in Montenegro you should absolutely not miss Kotor city and Lake Kotor. Sveti Stefan and Budva are not top on my list. I would rather go to Perast or Lake Shkodar if I have an extra day. The place is amazing, the article is very helpful and can be a reference to visit the place.